Last summer, while on a treasure hunt between Sweden and Finland, the pair and their research associates made headlines worldwide with the discovery of a 200-foot wide unidentified object at the bottom of the Baltic Sea. Now a team of oceanographers, engineers and deep sea divers will return to the site Friday, June 1, for a 6 to 10 day trip. They want to find out once and for all what it really is. The discovery was a worldwide news event, covered in the popular press, the scientific press and in the blogosphere. Many speculated that the discovery was of a long-lost unidentified flying object (UFO), that crashed into the sea. “We’ll be searching the area in a number of ways,” Lindberg explained. “We’ll use sonar to make 3D images of the bottom, the clay bottom, of that part of the sea. We’ll send down deep-sea divers too. And a camera robot. 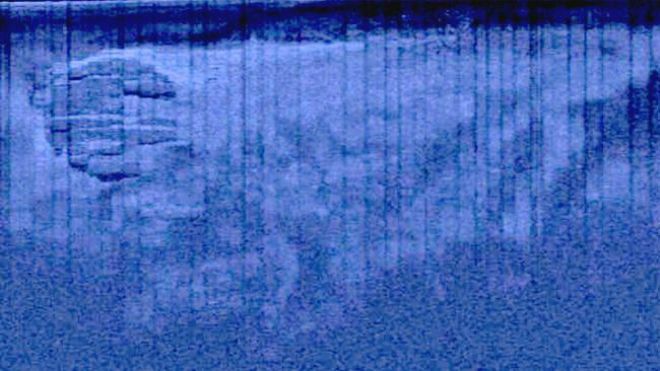 We’ll also take samples from the sea bed and measure them for toxicities and radiation.” At this point, Lindberg said, he and his colleagues “don’t know more than anyone else what it is” down there for certain.